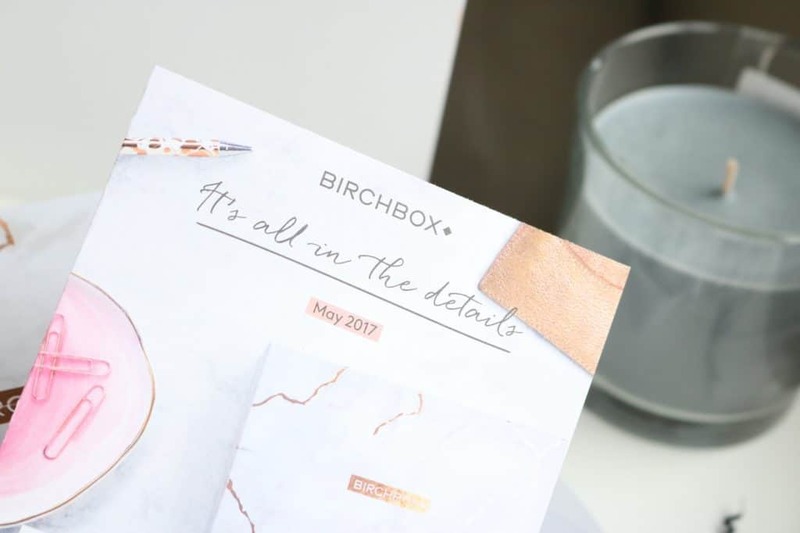 May’s Birchbox concentrates on the little things in life that can make a huge difference. Think how much better you feel when you’ve organised your nail polishes into chronological colour order? Or ticked off all of your to do list for a day? Sometimes, concentrating on the smaller parts of your daily routine can make a huge difference to your happiness levels. 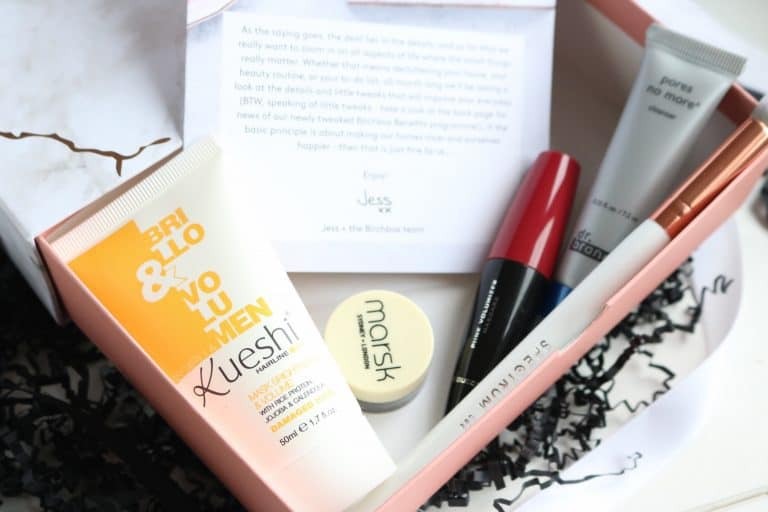 So, this month’s box is packed full of products that may seem like little changes to your routine, but will make a pretty big difference! So…. let’s see what was in the box! First things first: how good does beautiful, smooth, shiny hair make you feel? It makes me feel like an empowered, strong woman! 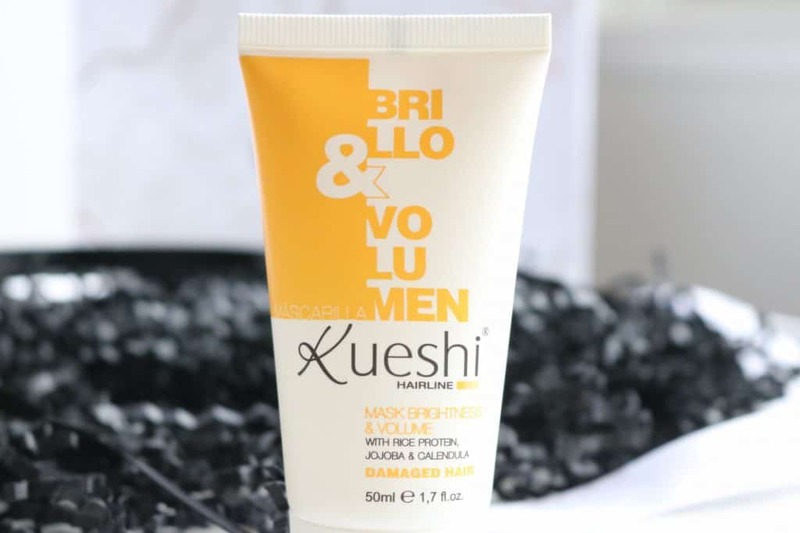 The Kueshi Hair Mask Shine and Volume hair mask only needs to be left in for three minutes, but boy does it do good in those three minutes! You’re left with soft, shiny, manageable hair – any frizz or tension you may have had in your hair is completely gone. I normally only get these sort of results from a hair mask I have to leave on for 15+ minutes, so to get such amazing results in such a short amount of time is perfect for a busy bee and the PERFECT product for this month’s theme! Next up: makeup. We all know that doing eyeshadow is a chore, right? It just never seems to look as good as those instagram girls make it. Why is my black eyeshadow not as, well, black as theirs? The Marsk Mineral Eyeshadow in Fifty Shades is your solution for this. 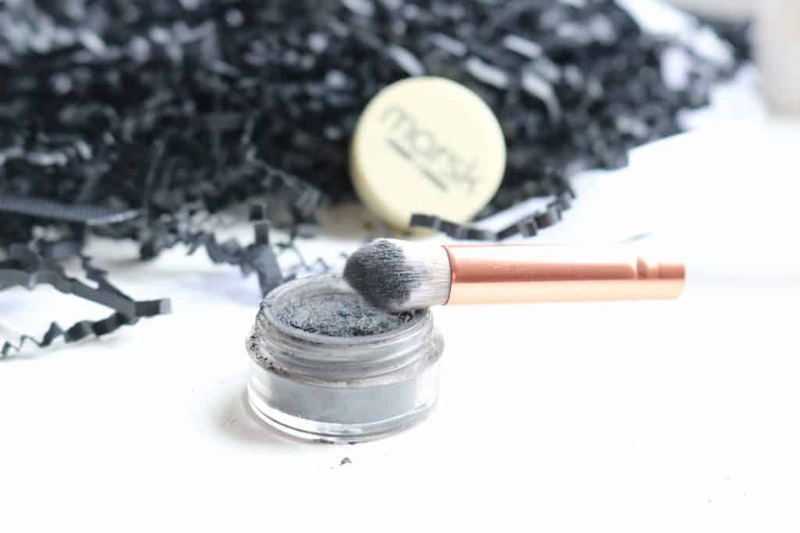 The powdered eyeshadow is extremely pigmented – use a tiny bit of powder for a smokey grey, or wet the brush a little and you’ll get a deep, dark, grey. I absolutely love this eyeshadow – my only negative critism is that being a powdered eyeshadow in a little pot it’s not great for travelling – I can’t whack this out to do my makeup on the train without making an absolute mess. So, save this for those occassions you’re actually sitting at your dressing table and need to add a touch of drama to your makeup look. 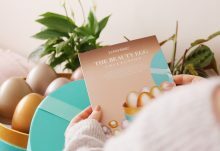 May’s Birchbox didn’t only give us an eyeshadow, however – we also received a Spectrum Collections Marbleous C06 Tulip Eye Contour Brush to make the application of eyeshadow oh so much easier! The b-e-a-utiful white and rose gold brush needs to take centre stage of your dresser forever onwards – it’s not only aesthetically pleasing but also pretty darn awesome. The tapered brush allows for the perfect shading around your crease, and is fluffy enough to blend seamlessly. I’ve always loved Spectrum’s brushes, but this is definitely a new personal fave of mine! Want long lashes without having to apply 3794027 coats of mascara or fuss around with strip lashes? 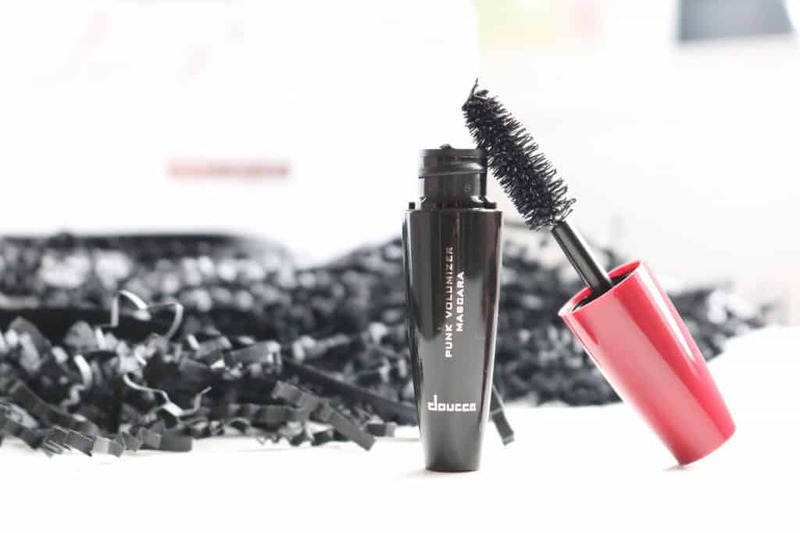 The Doucce Punk Volumizer Mascara is my new fave – all I need is one coat and I’m good to go! Big lashes without clumps, plus a quick time to apply makes this the ultimate dream mascara for a commuter like me. It might be a little pricier than I normally pay for a mascara – the full size is £18 – but it does do the job! Thank you Birchbox! I love a good cleanser- cleansing is probably one of my favourite elements of my skincare routine. When you can physically see and feel a difference? Urgh. Heaven. 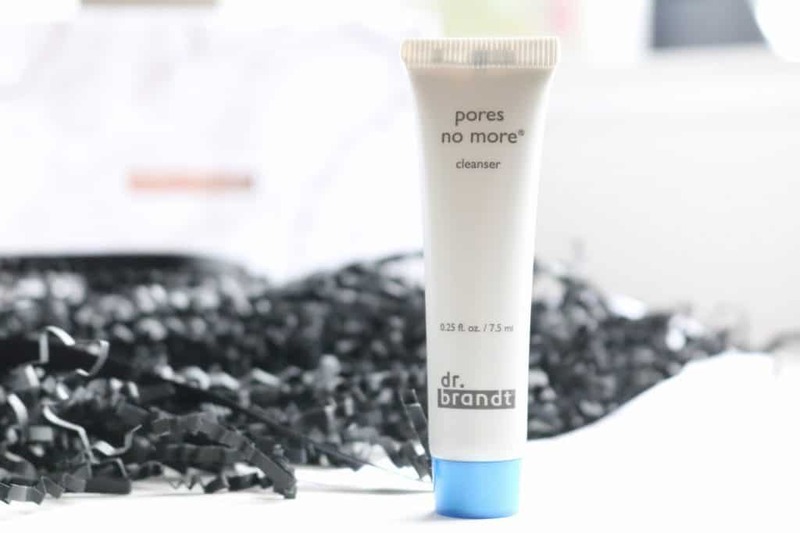 The dr. brandt pores no more cleanser is a gentle daily cleanser which does SO much more than just clean your skin. Almost like magic, it gets rid of any impurities on your skin. Your blackheads will disappear (Ok so not ALL of them else this would be a miracle product, but, like, it definitely gets rid of some of my nose and cheek blackheads!) but most importantly for me, it seems to even out any discolouration or uneven textures on your face… meaning your skin looks healthy without the need for a base makeup product. I’m all about supporting your natural beauty, so use this cleanser to sort your skin out and then you’ll not have to cake on the foundation and concealer to hide your blackheads and large pores = result. Another excellent box from Birchbox! 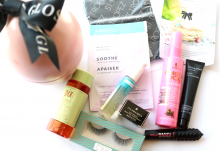 I absolutely adored every single product and they can all be so easily incorporated into my current beauty regime. It's all in the details, after all!